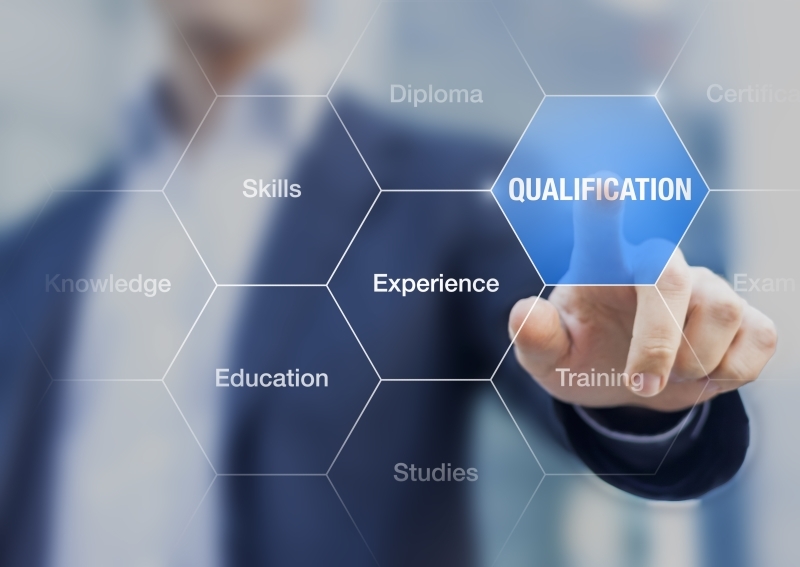 Here is why security professionals need to understand the merits of obtaining certification in today’s job market and how it can give them a leg up over their competition. Whether you’re just starting off in the cybersecurity field or are already working as a security professional, there are many certifications for you to consider across various specializations and difficulty levels. Not to mention certifications covering a range of disciplines and emerging security trends. But before getting into which certifications to choose, it’s important to understand why certifications matter and to whom. Obtaining a certificate by passing an exam is a benchmark to validate skills and knowledge. Certifications make you more attractive to potential employers because they show that you’re focused and goal-oriented. If they’re not required, they’re often preferred, depending on the role. Certifications also keep you marketable in the field as your career progresses, since the threat landscape is constantly changing and businesses—and security professionals—need to keep up. Studying for the exam takes commitment and dedication. Not to mention support from friends and family. Many pages will be read from several resources, along with a number of practice questions, to help condition you for the exam. So, how do you know which cybersecurity certifications to pursue? The first piece of advice is to do some research on what certifications are currently available. Think of this first step is a way to get everything on the table so you can see what you’re working with. This certification roadmap developed by CompTIA is a great starting point to learn about what’s available. The roadmap not only breaks the certifications map down by specialization, but by difficulty level as well. This is important because you don’t want to waste time studying for a certification that may be too advanced or too simple for you. If you have a cybersecurity focus you’d like to pursue, like penetration testing or compliance, you can consider a more specialized certification. Otherwise, you can choose one that is more generalized, like Security+. The next step would be to register for the exam so you have a date/goal to reach when you study. This is also the time when you would create a study plan to help you set mini-goals for taking practice exams and reading the material. By working to obtain popular cybersecurity certifications and becoming a cybersecurity practitioner, you will stand out against the competition and, ultimately, the market is yours. For example, using the Cybersecurity Supply/Demand Head Map provided by CyberSeek, you can see the cybersecurity talent gap by state. One of the metrics shows the ratio of current holders of common cybersecurity-related certifications to job openings for each certification. For example, there are 76,413 CISSP certification holders compared to the 78,523 openings requesting that same certification. If you’d like to continue learning about cybersecurity certifications and the path to obtaining the right one for you, check out Springboard’s article on 5 Cybersecurity Certifications That Will Help You Land a Job. To prepare for the CompTIA+ certification, the Introduction to Cybersecurity course is a great resource. This course will not only prepare you to pass the certification exam, but give you the hands-on learning experience to prepare you for in-demand entry-level jobs in cybersecurity. To pass the CEH or CISSP certifications, check out Springboard’s Cybersecurity Career Track. With one-on-one mentorship and career support, you’ll gain the experience and skills necessary to pass the certifications and get hired for software/application security analyst roles. Of those 76,413 CISSP holders, 30,000 of them are clueless. ISC2 has totally been propped up by. 8570. Those 30K take a boot camp or read the Shon Harris book and viola, they're anointed cyber security professionals. This article misses the mark. People need experience not certs. You get experience by getting involved in. The community, studying, participating in CTFs, etc. Regarding 8570 and CISSPs... sorry folks but running a STIG is not security. It's a start but that's it. Besides adversaries already know about STIGs. Moreover, adversaries don't care about RMF either. They care about how vulnerable you are regardless of what the shelfware documentation says. A career in cyber security is a journey not a destination. A cert should just get your foot in the door. The cert holders have a responsibility to gain experience after that. Sadly, most don't. Hi Chris! Thanks for the comments. Can you share any links to the best path to a successful career in Cyber Security. Thanks. In addition to certificates, there are also a number of degrees that one could receive in cybersecurity. A degree may be especially helpful for those without much coding or computer science experience or knowledge, or if you're just not that interested / don't have time to self-study and formulate your own plan. At NYU, there's a joint master's program (part-time, one-year long) between NYU Law and NYU Tandon (school of engineering) for executives that don't have a lot of technical knowledge. You'd learn about both the legal implications and technical aspects of cybersecurity, as opposed to primarily the technical aspect.